Click the Choose File button and navigate to the location of the theme zip file autoplay.zip. Unzip the theme zip file autoplay.zip. Autoplay recommends a few plugins to extend it's functionality. These plugins can be installed automatically from the notification in WordPress Administration Panel (Dashboard). Although, Autoplay will work perfectly without any of these plugins, you may want to extend the theme's features with them. WP Job Manager is a lightweight job listing plugin for adding job-board like functionality to your WordPress site. Subscribe your WordPress site visitors to your MailChimp lists, with ease. We have included Autoplay with one-click demo importer feature. You can easily to import content from our demo then you can edit it with your content. But first please install all recommended plugins. Please take a look the Installing Recommended Plugins section to read how to install the plugin. 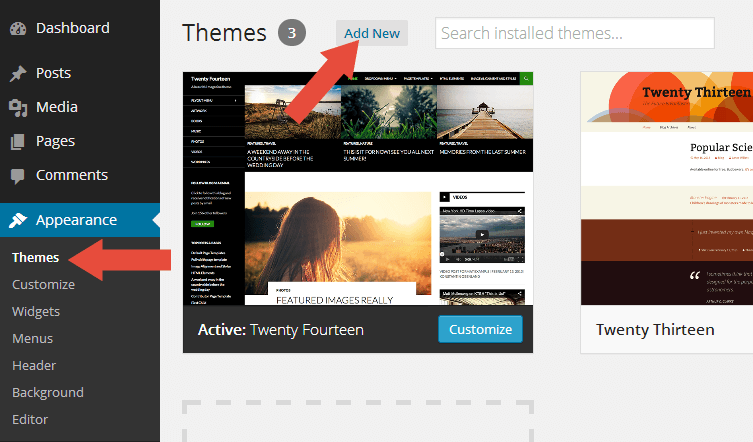 ImportantIn some themes you need to install some of the recommended plugins before importing the demo content such as Jetpack, TJ Team Content, Advanced Custom Fields Pro, WooCommerce, etc. There's a plugin you can use that will create a child theme from within the WordPress dashboard: http://wordpress.org/plugins/child-theme-configurator/ or you can download Autoplay blank child theme. If you are migrating from another theme, then upon activating Autoplay you may find previously added images display strangely with weird aspect ratios and sizes. Don't worry. It is normal. The image thumbnails are required to be recreated using Autoplay's presets. 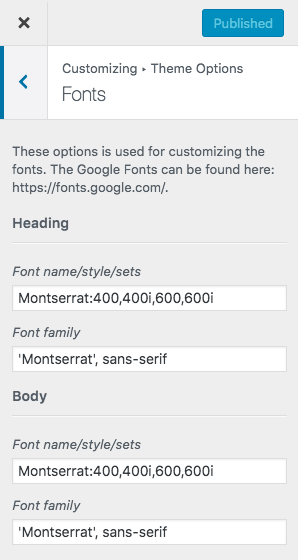 By default, Autoplay uses Montserrat font as default theme font family. But Autoplay provides an option to change it in case you dont like it. It is easy to change it, please follow the steps below. 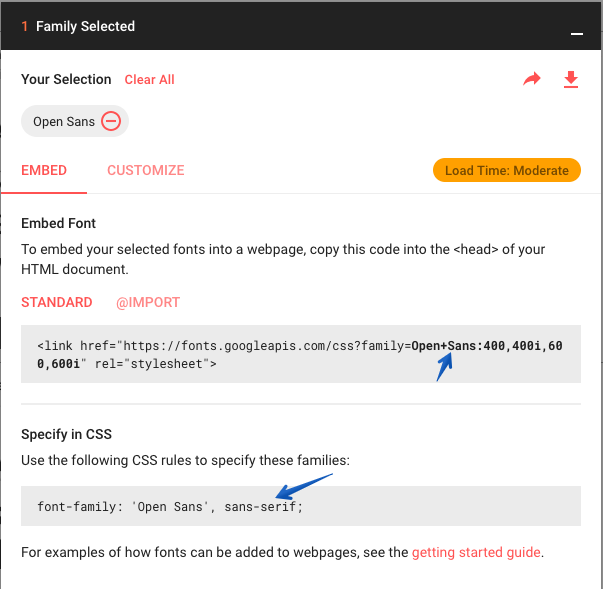 Each setting have 2 setting Font name/style/sets and Font family , if you want to change the fonts you need to change both. Please follow the example steps so you will understand how to use it. 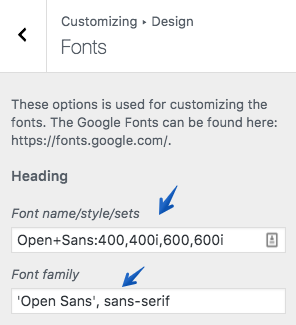 First please go to https://fonts.google.com/ then choose font you like by clicking the + button. Then you will see a small popup window at the bottom, click it. 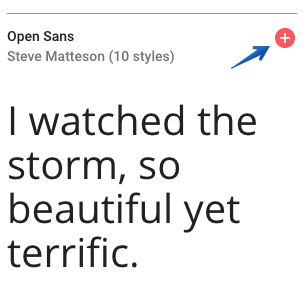 You can customize the font style, for example you need a Regular and Bold style. 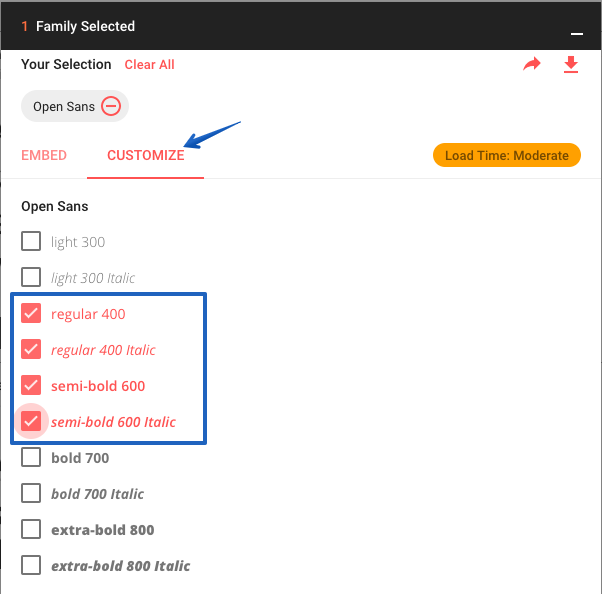 Click the Customize tab then choose the style, please follow the image below. 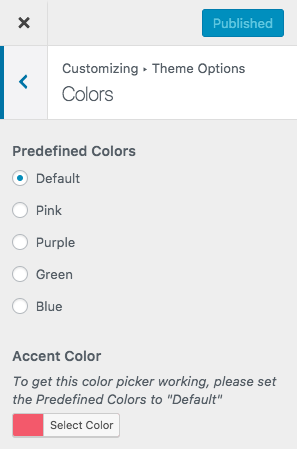 Autoplay provides a couple options to choose your prefered colors. How to use Colors option? After you create the post or page, scroll down and find Layout meta box. 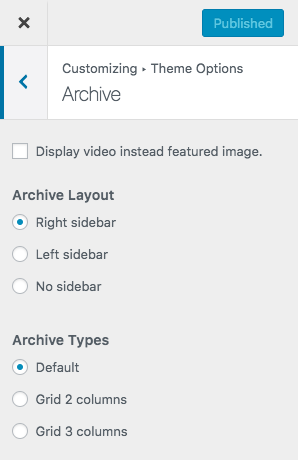 This archive layouts setting will applied to the archive page. You will see the option to change the layouts. Autoplay supports the custom menu function to allow you to setup your menus. You can set it through following steps. Go to Customizer → Menus. To create a new custom menu, click the create new menu button, give the menu a name, and click Save Menu button. 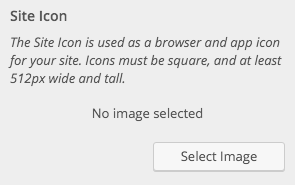 And, be sure to select Top Location, Primary Location as the Theme Location before saving your menu. Autoplay supports a social links menu. You can set it through following steps. 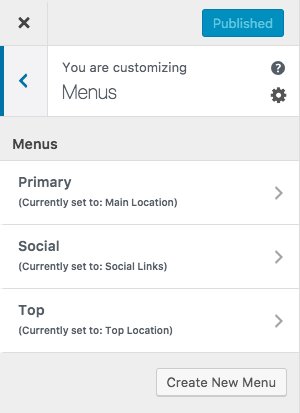 To create a new custom menu, click the create new menu button, give the menu a name, check the Social Links location, then click Next. 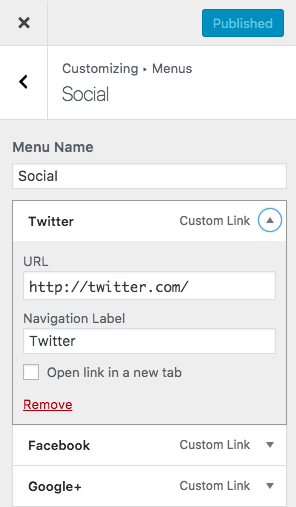 Choose Custom Links, then add your social profile links to it. Autoplay comes with 6 custom widgets to give you more flexibility to customize your site. Advertisement: Show your custom ads, adsense, amazon, etc easily. Facebook Like Box: Allow you to display your Facebook Page in a Like Box, hence your reader can 'Like It' directly at your site. Recent Posts Thumbnail: An improvement over the default recent posts widget, including thumbnail. Twitter Timeline: Display an official Twitter Embedded Timeline widget. Social Icons: Display your social media link profile. Address: Display your business address. Autoplay is fully compatible with all of the custom sidebars plugins available for free. 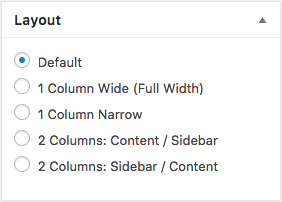 Custom sidebars allow you to change the sidebar to display different widgets per post or page. 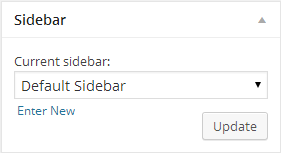 If you wish to use custom sidebars feature, we recommend the Simple Page Sidebars plugin. It's an extremely powerful and flexible free plugin. Go to post or page you wish to change with the new sidebar. Scroll down and find Sidebar meta box(see image below). Click the Enter New link to create new sidebar. Then, last step is you only need to go to Appearance → Widgets and choose the widget you wish to use then put it in the new sidebar. 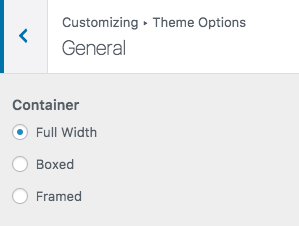 You will see the option to choose the container layouts. 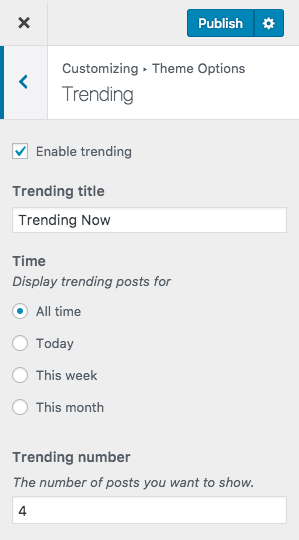 Trending is a list of posts show based on their views. You can choose the time of their views for example if you choose Today , it will only display posts published Today and have most views. Set up based on your needs. 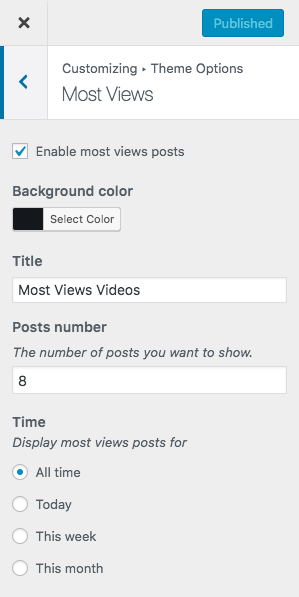 Most views actually share the same functionality, it is a list of posts show based on their views. You can choose the time of their views for example if you choose Today , it will only display posts published Today and have most views. Elementor is a page builder that fully integrated with Autoplay. After you install and activate it, there is a simple task you need to do. Find Content Width replace with 1110. Find Space Between Widgets replace with 40. We suggest you import our demo to your site, familiarize yourself with Elementor and try to edit the demo content before you setup your real site. We provide 3 custom Elementor widgets to display various posts layouts. Check the demo or try it yourself to see how they works! You can use these shortcodes by installing our Shortcodes plugin which available for free!. Or you can go to Appearance → Install Plugins. Click install under TJ Shortcodes. Then go to the post or page editing screen. You should see Add Shortcode button(see image below) beside the Add Media button. Click on it, then you will see a selectbox to choose the shortcodes you wish to use. Finally, click the Insert Shortcode button. Open autoplay.pot in Poedit. Translate as needed. Copy both these files(de_DE.po and de_DE.mo) under the languages folder of autoplay.